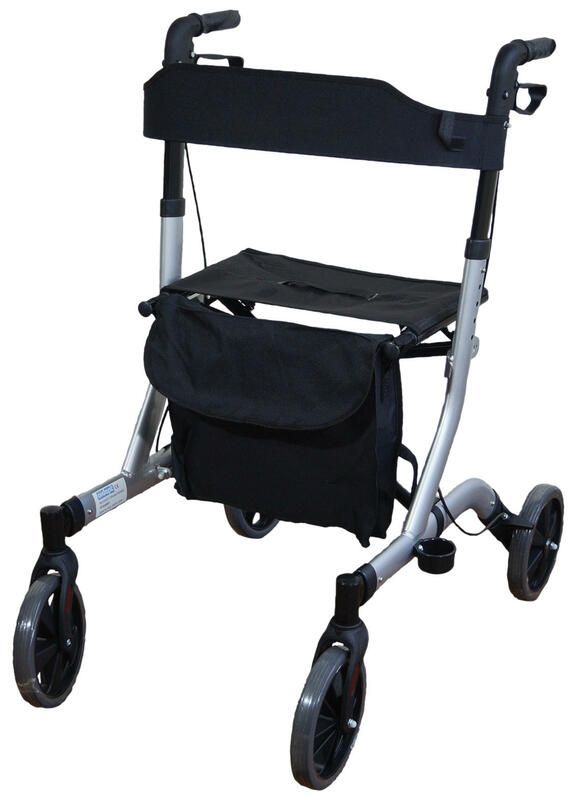 The Deluxe Aidapt Ultra Lightweight, Aluminium Four Wheeled Rollator has a very Modern and stylish design with many great features. 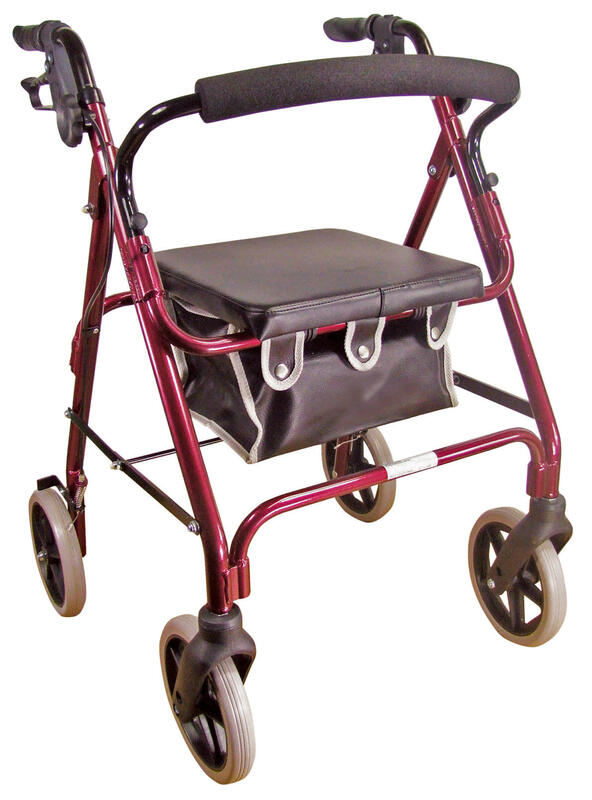 With a strong aluminium frame, the lightweight rollator is durable enough for daily use. 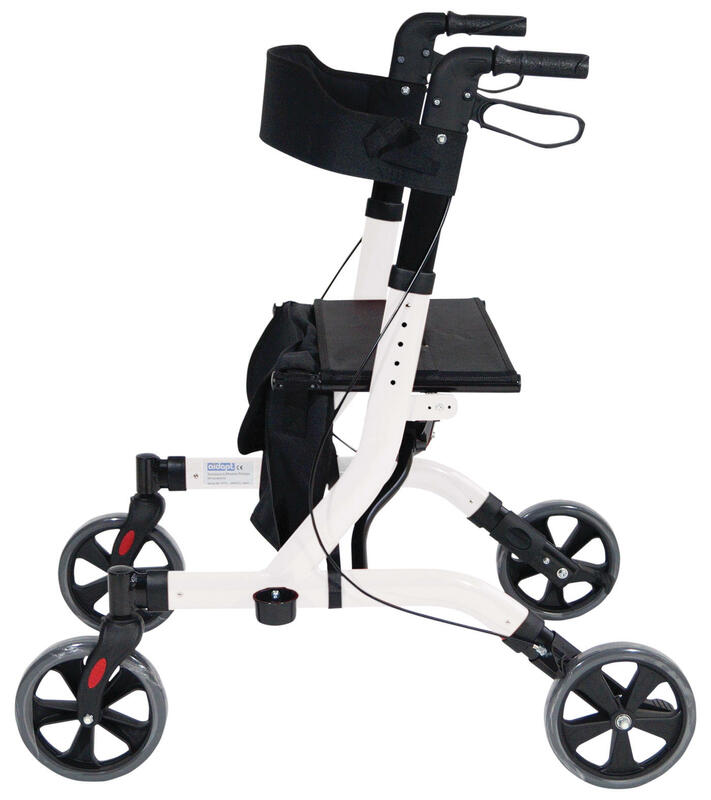 With anatomically-designed handgrips, arthritic friendly loop cable brakes and height adjustable handles, the Aidapt. 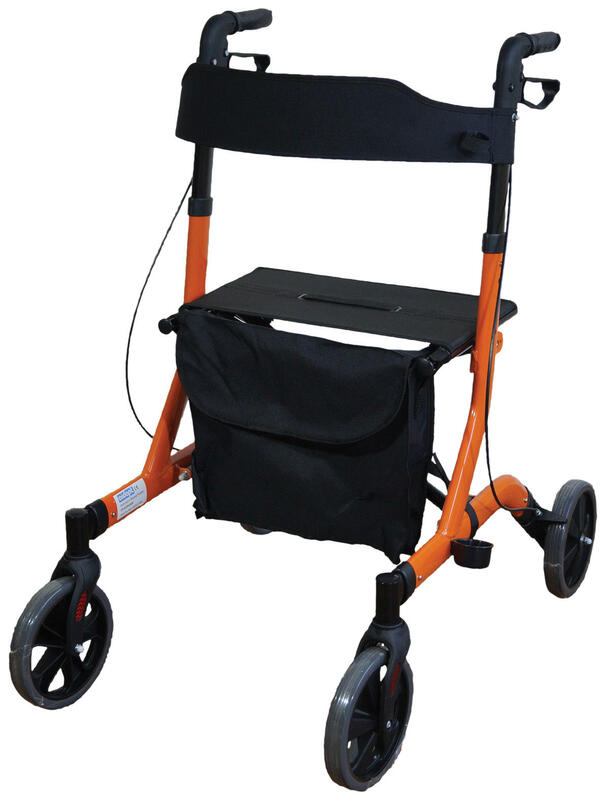 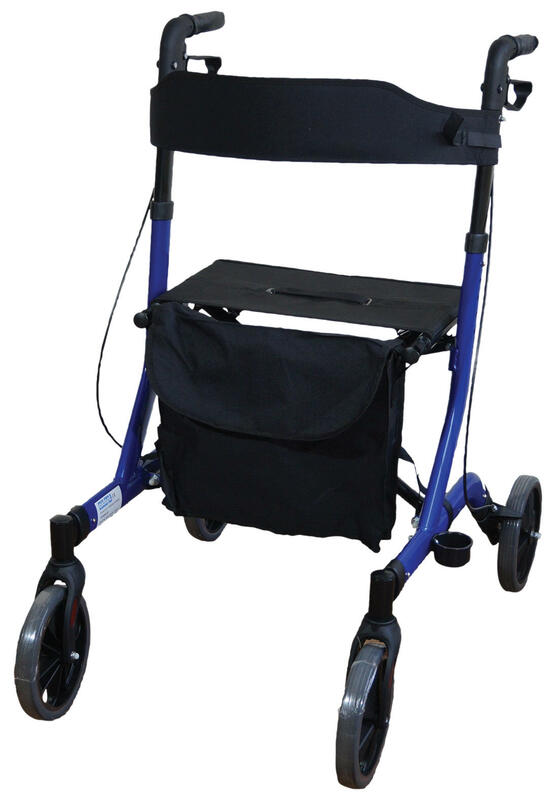 Lightweight Rollator is suitable for the elderly, infirm or less able users with little grip power. 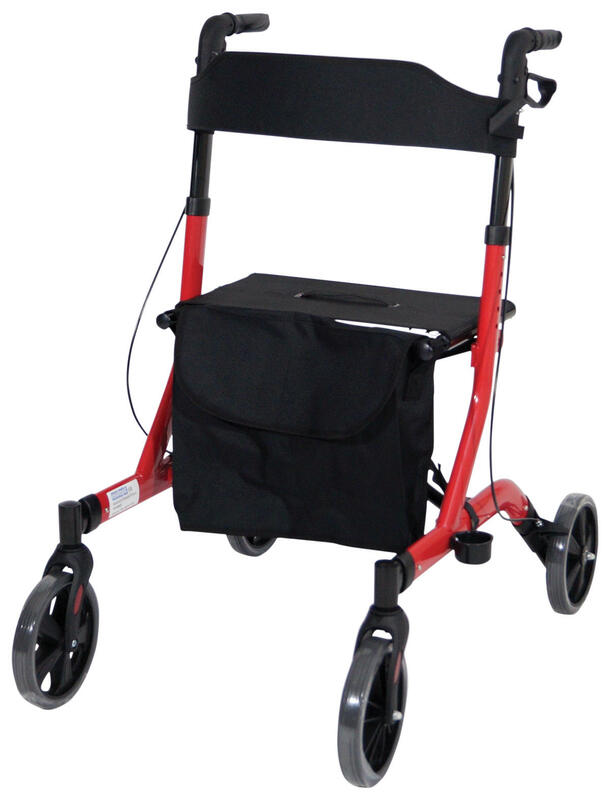 This four-wheeled rollator also features an integral canvas seat, padded backrest and an integral walking stick holder.A handy, detachable shopping bag is included for storing small items. 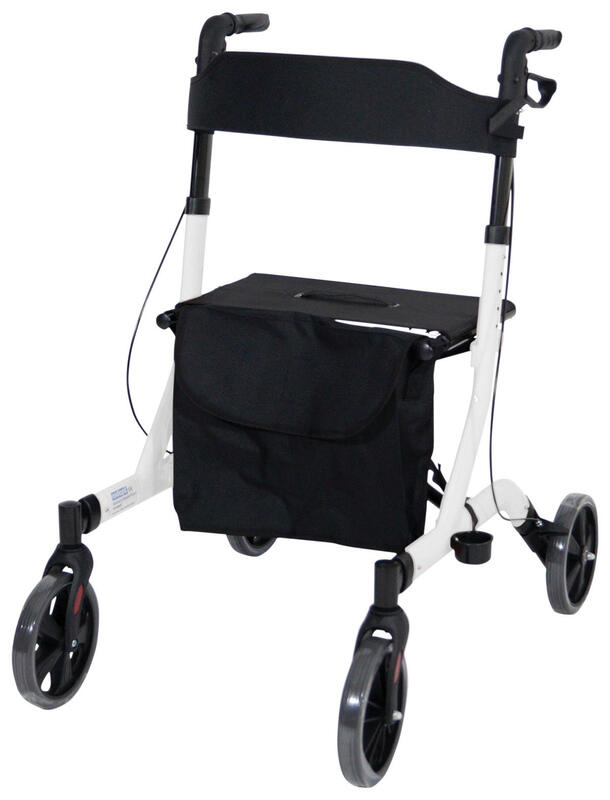 The Rollator folds flat for travel and is ideal for storing when not in use. 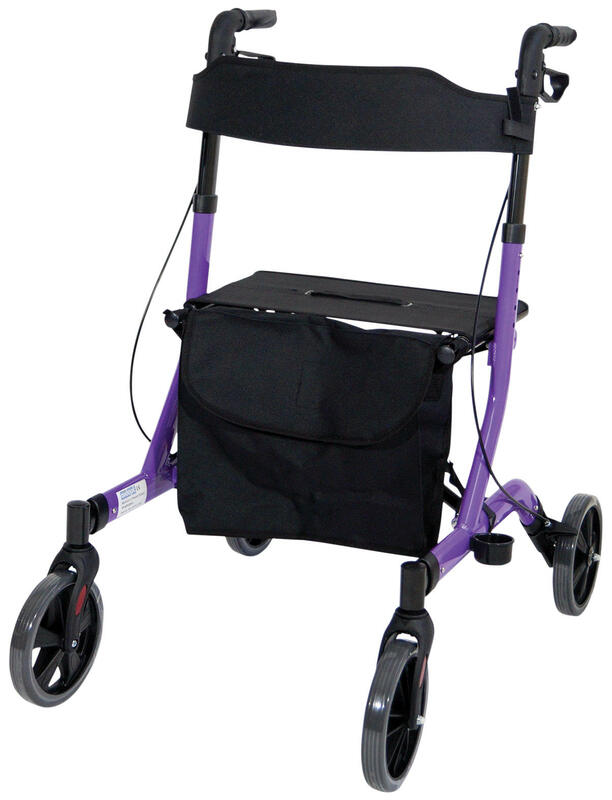 The Lightweight Rollator folds easily for storage and is available in a range of colour options.